Crash scene at Cave Rock of Passat that killed visitor from Thailand. On June 26, 2017, at approximately 4:39 pm, Nevada Highway Patrol Troopers were called to the area of US 50 near Cave Rock, for a serious injury head on collision involving two vehicles. Preliminary investigation indicates that a black 2015 VW Passat was traveling eastbound around a curve, crossed over the double yellow lines and into westbound traffic. A black 2017 Chrysler minivan was traveling westbound around the same curve when it was struck head-on by the black VW Passat. A black 2017 Chrysler minivan was traveling westbound around the same curve when it was struck head-on by the black VW Passat. The driver (only occupant) of the black VW Passat was transported to a Reno Hospital by ambulance with serious, but non-life-threatening injuries. There were 6 occupants in the black Chrysler minivan. The right front passenger, Sranthon Bunnag (a 52 year old female visiting from Thailand) succumbed to the injuries she sustained from the crash. The driver of the Chrysler and the 4 other passengers were all transported to a South Lake Tahoe hospital via ambulance with non-life-threatening injuries. 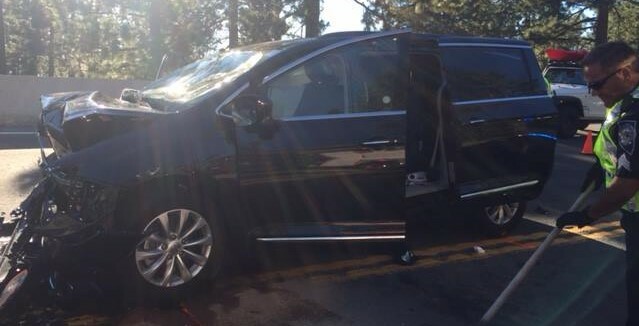 The Chrysler minivan which was hit head on by the DUI driver from Carson City, Nevada. 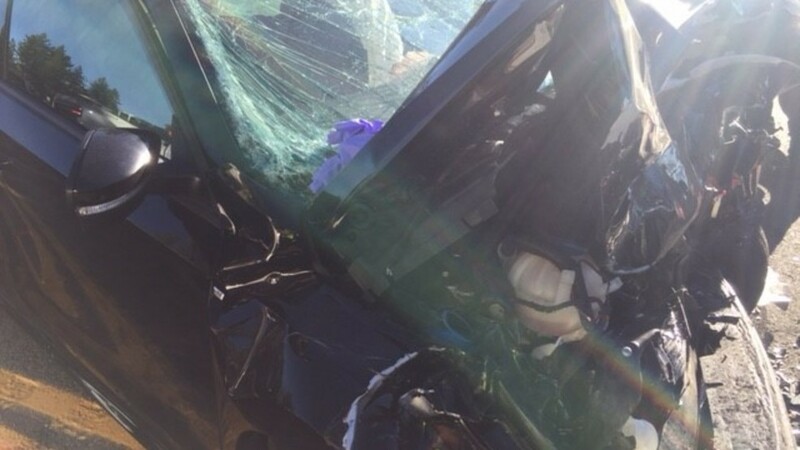 A woman visiting from Thailand was in the van and was killed in the crash, reports the Nevada Highway Patrol. The driver of VW (a 40-year-old female resident of Carson City) is suspected of driving under the influence of alcohol. When she is released from the hospital, she will be booked into the Douglas County jail for DUI and other related charges. This entry was posted in Arrest bookings, DWI arrest photos, DWI Arrests by State, DWI crash photos, DWI news articles, injury or death and tagged Douglas County Jail, Driving Under the Influence, driving under the influence of alcohol, driving while intoxicated, drunk driving, DUI, DWI, Nevada Highway Patrol, Nevada Highway Patrol Troopers, OWI, South Lake Tahoe, Sranthon Bunnag killed by DUI driver, Trooper Jason Litchie. Bookmark the permalink.